During their Gold Rush event held a few weeks ago, local brand Starmobile introduced 12 new Android devices. 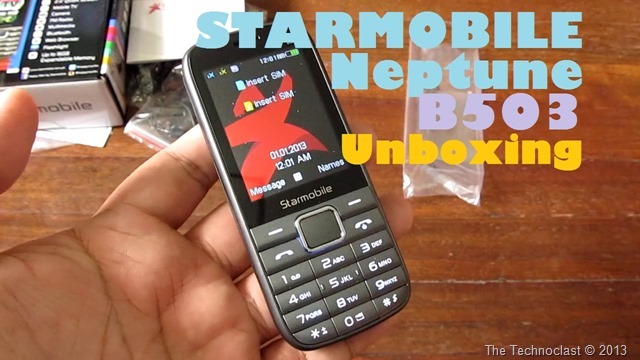 What you might not have heard about though, is the single device that doesn’t run on Android that they released – the Starmobile Neptune B503. For only PHP 999, its packing a lot of convenience features that don’t typically show up on phones below 1k – namely Bluetooth, Flashlight, and Mobile TV. When we checked it out at the store, we found out that the reception on the aforementioned TV functionality was excellent, and bought one because of that. So if TV is what you’re after, you’re going to want to check out our unboxing video of this guy just below. 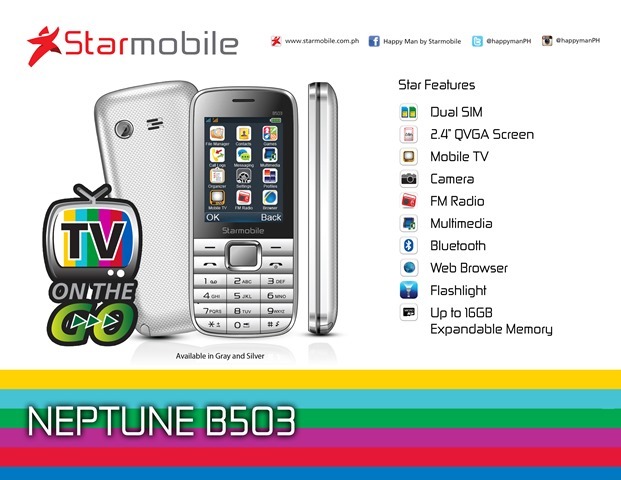 The Starmobile Neptune B503 should be available now in retailers nationwide. (We got ours at the Starmobile store in SM North EDSA.) Given the price, it may be the perfect little gift item to give to your loved ones this Christmas season. Update: Lazada now offers this phone so you can buy it online here.